Stories of extreme drought followed by flash floods that virtually destroy entire crops and wreak chaos abounded during the region's first Week of Agriculture and Food, held Nov. 20-23 in the Argentine capital. "This year we had a lengthy drought that destroyed about 80 percent of the basic grains of subsistence farmers, and two months later we saw tremendous flooding that affected 23,000 hectares in the south of the country," Honduran deputy agriculture minister José Alberto Benítez told IPS. "We are the country most affected by climate change in the world. And when we see that thousands of young Hondurans have started migration caravans to Mexico or the United States, it's largely because it's increasingly difficult for them to stay in rural areas," he added. FAO regional representative Julio Berdegué told IPS that "no country is safe from the impact of climate change on food production." "In the south, Argentina had the worst drought in 50 years this year, after crops had been lost to flooding the previous year. And in the Caribbean, Dominica's entire agricultural crop disappeared from the map in 2017 because of devastating hurricanes," he said. The senior regional official warned that "preparing or half preparing for climate change will take hundreds of billions of dollars. Latin America and the Caribbean are not going to be able to finance this on their own." "We need international funding, but official, government-to-government aid is not sufficient. We need a lot of private investment, in renewable energy, in new forms of infrastructure or in resilient agricultural systems," said Berdegué. FAO's Panorama of Rural Poverty reveals that rural workers in Latin America earn less than half of what urban workers earn. The average income of the former, in 2015, was 363 dollars a year, compared to 804 dollars for those working in towns and cities. Lina Pohl, El Salvador's environment and natural resources minister, warned that if ways are not found to increase agricultural yields, the future will bring higher prices, more hunger and social upheaval. In that sense, she said that "each country must find its own path, because technology transfer has not been successful, and there is no agenda for joint, integrated work," despite the resources that the international community allocates to the issue of climate change. El Salvador, he said, has been hit hard, since "all the groundwater monitoring networks show a tendency towards a reduction," and global warming makes water even more necessary. "The best future scenario, of a temperature increase of 1.5 degrees Celsius, will mean that maize crop productivity in El Salvador will fall 30 percent over the next 15 years," he said. According to FAO's data, 61 percent of the 33 countries in the region pledged at the United Nations to reduce agricultural emissions, in the Paris Agreement on Climate Change, reached in December 2015. The director of the Inter-American Institute for Cooperation on Agriculture (IICA), Manuel Otero, stressed that agriculture, "although it generates problems, can also be part of the solution." "Many of the measurements linked to climate change are taken with indicators that we have not generated ourselves. This means they do not take into account situations in which, far from emitting, we are actually sequestering carbon," he told IPS. For Otero, "Argentina is a clear example with its widespread zero tillage system. And Brazil is making incredible progress with agri-silviculture integration." The director of IICA also drew attention to the fact that "there are many losers with global warming, but a few winners, which are the temperate countries." 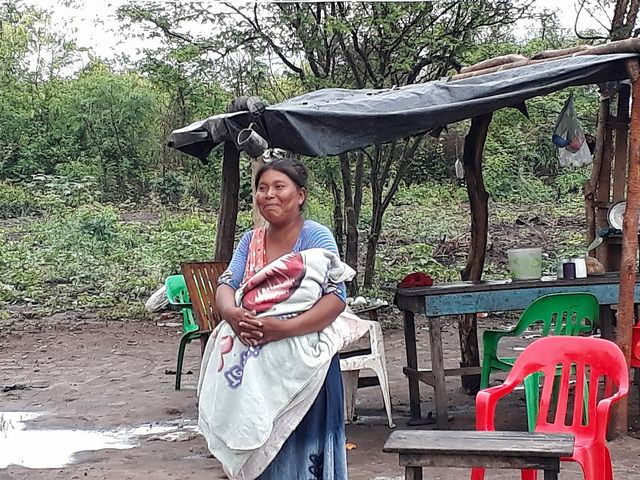 There are 39 million hungry people, despite the fact that, according to FAO, Latin America and the Caribbean produce enough food not only for the region's 646 million inhabitants but also for 169 million more. "Since the 1990s there has been a downward trend in the participation of the agricultural sector in the economies of the countries of the region. This could be due to climate change," she explained. Martínez Barón added: "Latin America and the Caribbean contribute 16 percent of world food exports. Potentially by 2050 that proportion could reach 30 percent." "In order to do this, it is essential to build sustainable agriculture adapted to the climate. If we do nothing, there are 36 million people in the region whose food security is at risk due to loss of agricultural yields. But climate change can give us the financing we need," she concluded.